The Citi / AAdvantage Platinum Select MasterCard is offering 50,000 bonus American Airlines miles after spending $3,000 in the first 3 months. The CitiBusiness / AAdvantage Platinum Select World MasterCard is also offering 50,000 bonus American Airlines miles after spending $3,000 on the card in the first three months. According to One Mile at a Time, both of these 50k bonus offers will end at some point tomorrow, so if you were thinking of applying for these do so now before the bonus drops. $99 companion certificate: If you spend $30,000 in a year on the card, you also get a $99 companion certificate for use within the continental United States. We value American Airlines miles at 1.5 cents each, making each 50k sign up bonus worth approximately $750. Delta miles cannot even book international First Class. You can see comparisons of American Airlines, Delta, and United award charts here. Here’s our complete guide to redeeming American Airlines miles. 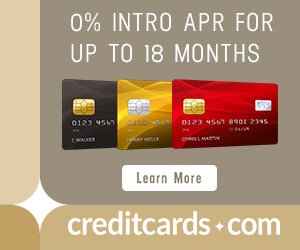 Both cards offer 2x on American Airlines purchases. The CitiBusiness card also offers 2x on purchases at telecommunications and car rental merchants as well as gas stations. You can read more about how Citi defines those merchants in the offer terms and conditions. Internet, cable, and phone services is a 3x category on the Ink Business Preferred, so if you have that card, put those purchases on it. Car rentals and gas (all travel and gas) are 3x categories on the Citi ThankYou Premier Card, so use that instead of CitiBusiness card for car rental and gas purchases. If you don’t have those cards, these 2x category bonuses are nice. Cardholders get a free checked bag on domestic American Airlines flights (everyone gets a free checked bag on international flights), and up to four companions on the same reservation get the same benefit. Since the first checked bag normally costs $25, a family of five could clean up with this benefit, saving $250 per roundtrip. Since all the airlines started charging for checked bags, more people are carrying on big roll-a-boards that need to go in the overhead bin. When those fill up, you have to surrender your carry on for a dreaded “gate check”, which entails waiting around for 15 extra minutes to get the bag at baggage claim and losing access to everything in your bag during the flight. Both cards get you Group 1 boarding on American Airlines flight, so you will definitely secure overhead bin space and avoid gate checking. This is a benefit of the Citi / AAdvantage Platinum Select MasterCard but not the CitiBusiness / AAdvantage Platinum Select World MasterCard. You will receive a 10% rebate on the miles used to book American Airlines awards–up to 10,000 miles rebated per calendar year. That means a 45,000 mile off peak roundtrip to Europe is only 40,500 miles net. An 80,000 mile award in Cathay Pacific First Class to Japan one way would be 72,000 miles net. A cardholder who redeems 100,000 American Airlines miles each year (very doable for most people) gets back 10,000 American Airlines miles. The process is automatic and the rebate posts within a few weeks. Here’s a post Scott wrote about the benefit in 2012. Both cards give you access to American Airline’s Reduced Mileage Awards, which are discounts on domestic redemptions. Destinations for the discounts change every other month. You are only eligible to earn a sign up bonus if you haven’t opened or closed a card from the same type (brand or co-brand) within the last 24 months. For example, if you’ve opened or closed the personal Citi AAdvantage card in the last 24 months, you are not eligible for another. Luckily the CitiBusiness card is a separate product in this regard, so a separate 24 month clock applies to it. You can sign up for both as long as you haven’t opened or closed either (respectively) in the last 24 months. As long you follow the above rule, you can be approved and received the bonus on the Citi / AAdvantage Platinum Select MasterCard even if they have had one before/currently still have it open. However, the same does not apply to the CitiBusiness card. You must close that card before opening another one (and of course, wait 24 months after closing it to be eligible for another). You will not be approved if you have any Citi credit card applications in the last 8 days or two Citi applications in the last 65 days. So if you want both of these Citi cards, get them on days 1 and 9. If you want a third Citi card, wait until day 66. Anyone who has a business including a sole proprietor can apply for business cards. Read more about how to get approved for business cards if you’re not sure if you’re eligible. The new Barclaycard AAdvantage Aviator Red World Elite MasterCard is offering 40k bonus American Airlines miles after just one purchase and paying the annual fee of $95. 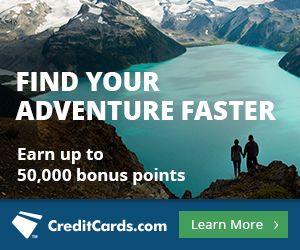 You can sign up for all three cards, both Citi AAdvantage cards and the AAdvantage Barcalycard, in the same nine day period (remember you can be approved for no more than one Citi card in an eight day period) and earn at least 146k American Airlines miles within three months after spending $6k. If you decide to apply for all three, I’d apply for the Barclaycard first as Barclay tends to be the most inquiry sensitive bank. Both AAdvantage co-branded Citi cards (the personal and business cards) have temporarily elevated sign up bonuses at the moment of 50,000 American Airlines miles after spending $3,000 in the first three months. Both cards’ sign up bonuses will drop at some point tomorrow. Apply now if you were thinking about it. Both cards also come with other valuable benefits like a free checked bag and priority boarding on American Airlines flights. The annual fee of $95 is waived the first 12 months. I find it disappointing that you are hawking your Citi business card that earns you commissions, and has the 24-month restriction. There’s a popular discussion on Flyertalk and Redit about a Citi AA Biz application that does NOT have the 24-month language. So you are doing your readers a disservice by only pushing the one you get paid for. I have an open citibusiness AA card that was opened like 6 years ago. I did not close it yet. Would I qualify for a new one under this link? Same question with a citi AA non business, I have both. If duplicates do not qualify and my current card is a VISA will I be eligible since this offer is a MASTERCARD? You should be eligible for the bonus on another Citi AA personal card despite having it open. It is unclear whether or not having a Citibusiness AA card still open affects your ability to open and get the bonus on a new one–there are mixed data points. Closing your business card will of course re-set the 24 month clock. In regards to Visa vs. MasterCard, I have no idea. I would say it probably increases the chances that you could get another CitiBusiness AA card at this point but I’m not sure.